Before cracking open the case, turn off the power and unplug your PC. Ground yourself before you touch anything inside to avoid destroying your circuitry with a static charge. If you don't have a grounding wrist strap, you can ground yourself by touching any of various household objects, such as a water pipe, a lamp, or another grounded electrical device. Be sure to unplug the power cord before you open the case. Use antistatic wipes to remove dust from inside the case. Avoid touching any circuit-board surfaces. Pay close attention to the power-supply fan, as well as to the case and to CPU fans, if you have them. Spray these components with a blast of compressed air to loosen dust; but to remove the dust rather than rearrange it, you should use a small vacuum. If your PC is more than four years old, or if the expansion cards plugged into its motherboard are exceptionally dirty, remove each card, clean its contacts with isopropyl alcohol, and reseat it. If your system is less than a couple years old, however, just make sure each card is firmly seated by pressing gently downward on its top edge while not touching its face. Likewise, check your power connectors, EIDE connectors, and other internal cables for a snug fit. Give your PC a periodic checkup with a good hardware diagnostic utility. Two excellent choices are Sandra Standard from SiSoftware and #1-TuffTest-Lite from #1-PC Diagnostics. Download the free version of Sandra (the full version of the application costs $35) or to download #1-TuffTest-Lite (the fully functional version is $10). Adding and removing system components leaves orphaned entries in the Windows Registry. This can increase the time your PC takes to boot and can slow system performance. Many shareware utilities are designed to clean the Registry. Windows stores files on a hard drive in rows of contiguous segments, but over time the disk fills and segments become scattered, so they take longer to access. To keep your drive shipshape, run Windows' Disk Defragmenter utility. Click Start, Programs (All Programs in XP), Accessories, System Tools, Disk Defragmenter. If your drive is heavily fragmented, you could boost performance. Defragging may take hours, however. Disable your screen saver and other automatic programs beforehand to keep the defrag from restarting every few minutes. Disk Defragmenter won't defragment the file on your hard drive that holds overflow data from system memory (also known as the swap file). Since the swap file is frequently accessed, defragmenting it can give your PC more pep. You can defragment your swap file by using a utility such as the SpeedDisk program included with Norton SystemWorks 2004, but there's a way to reset it in Windows. In Windows XP, right-click My Computer and choose Properties. Click Advanced, and then choose the Settings button under Performance. Click Advanced again and the Change button under Virtual Memory. Select another drive or partition, set your swap file size, and click OK. If you have only one partition and no way to create a second one, and you have at least 256MB of RAM, disable the swap file rather than moving it: Select "No paging file" in the Virtual Memory settings. If you have trouble booting, start Windows in Safe Mode and re-enable this option. Hard-Drive CheckupWindows XP offers a rudimentary evaluation of your hard disk's health with its error-checking utility: Right-click the drive's icon in Windows Explorer and select Properties, Tools, Check Now. (Windows can fix errors and recover bad sectors automatically if you wish.) If the check discovers a few file errors, don't worry, but if it comes up with hundreds of errors, the drive could be in trouble. The program works only with drives that support S.M.A.R.T technology, but nearly all drives released since 2000 are S.M.A.R.T.-compliant. Many hardware and software designers humbly assume you want their program running on your PC all the time, so they tell Windows to load the application at startup (hence, the ever-growing string of icons in your system tray). These programs eat up system resources and make hardware conflicts and compatibility problems more likely. To prevent them from launching, just click Start, Run, type "msconfig" and press Enter. The programs listed under the Startup tab are set to start along with Windows. Uncheck the box at the left of each undesirable program to prevent it from starting automatically. 1. Keep your PC in a smoke-free environment. Tobacco smoke can damage delicate contacts and circuits. 2. Leave your PC running. Powering up from a cold state is one of the most stressful things you can do to your system's components. If you don't want to leave your PC running all the time, use Windows' Power Management settings to put your machine into hibernation rather than completely shutting down. In Windows XP, right-click the desktop and select Properties. Click the Screen Saver tab and select the Power button. Choose the Hibernate tab to ensure that hibernation is enabled, and then select a time beneath "System hibernates" under the Power Schemes tab. (Note that this option is not available on all PCs.) 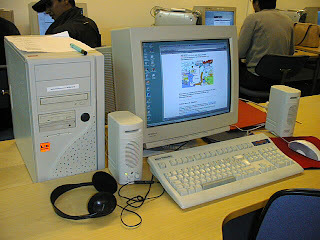 Computers running older versions of Windows may or may not provide similar power-management features. Look under the Power Management icon (Power Options in Windows 2000) in Control Panel to evaluate your machine's capabilities. 3. Don't leave your monitor running. The best way to extend your display's life is to shut it off when it's not in use. 4. Avoid jostling the PC. Whenever you move your system, even if it's just across the desktop, make sure the machine is shut down and unplugged. * A Gmail Account - as thease are only obtainable via invitation i will assume you alredy have one . * Msn Messenger / Windows Messenger - used to verify your gmail account. Once you have downloaded / obtained all of thease you are ready to continue. 2. load up msn messenger and cansel any automatic signe in atempt so that you have it redy to signed in with your gmail account later on . 5. once the registration of you .net registerd gmail account has been made , signe in to Msn messenger using this newly registerd account , you will notice that when you signe in to messenger your messenger name will be youraccount@gmail.com (un verified ) and you wont be able to change it , this is solved below. 9. if for any reasons this didnot work , and you agane reciece the message asking you to verify , or you havent recieved your verification email from .netpassport , then re-try steps 2 - 7 , un till you get it working correctly .